1First, local anaesthetic will be administered to ensure no discomfort is felt during treatment. 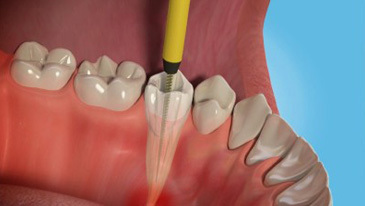 2The tooth will be prepared with a drill, allowing access to the root canal system. 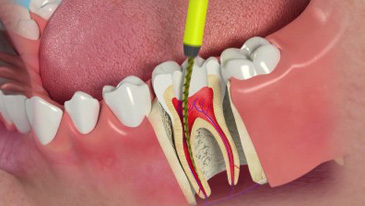 3The root canal system will be thoroughly cleaned out to remove all infection and pulp. 4The root canal system is then filled and sealed temporarily with a crown. 5The tooth is checked at a later visit and when all the infection has cleared, the tooth is permanently filled.